It’s perfectly possible to visit Mostar on a day trip from Croatia but I am so glad I decided to stay. 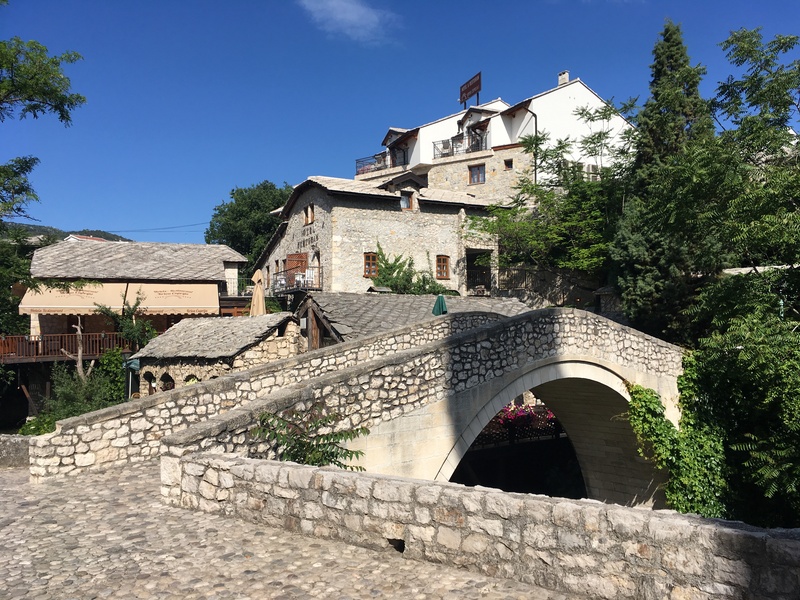 It meant that I could explore the Old Town and admire the Stari Most (Old Bridge) in the morning and in the evening when things were quieter. And then in the middle of the day when the crowds arrived, I got to do my absolute favorite thing while traveling – exploring while lost. The Old Town is as pretty as you could imagine but I had so much fun exploring the more residential areas, wandering down streets just because they looked interesting and getting myself lost. Not hopelessly lost because there are hills on both sides of Mostar and several rivers to navigate by, but certainly off the tourist trail. 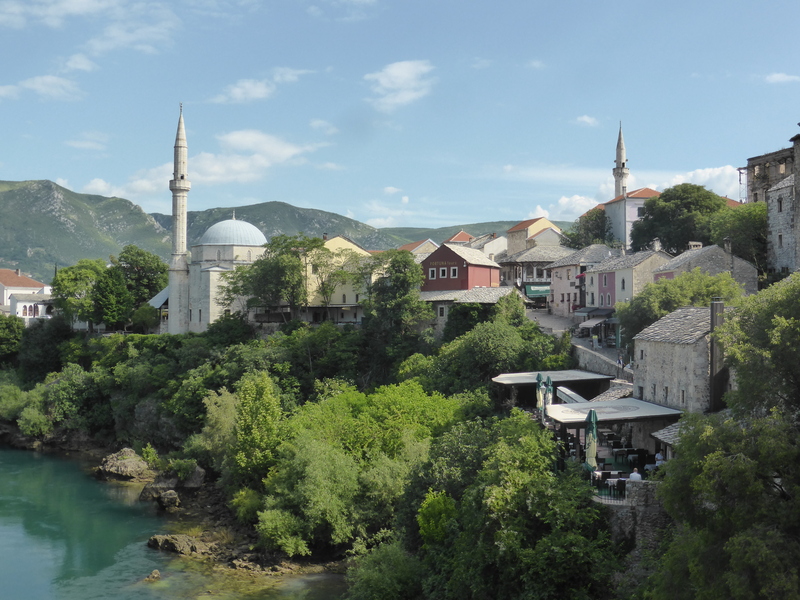 The more I explored, the more I fell in love with Mostar. It’s the kind of place I could live if it wasn’t so damn hot (27 degrees Celsius but this is me we’re taking about). Beautiful architecture, spectacular scenery, as well as parks, and seats with a view, to rest and absorb it all. 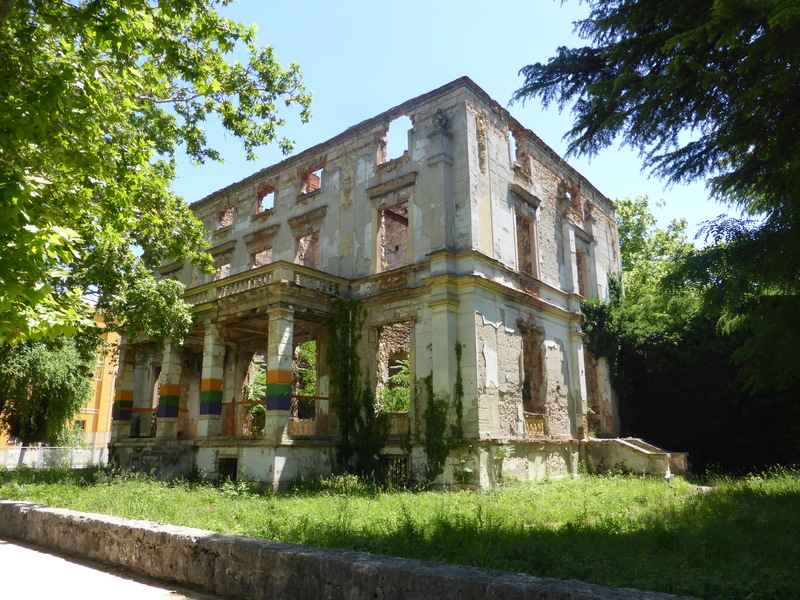 There is a sad side to Mostar though. 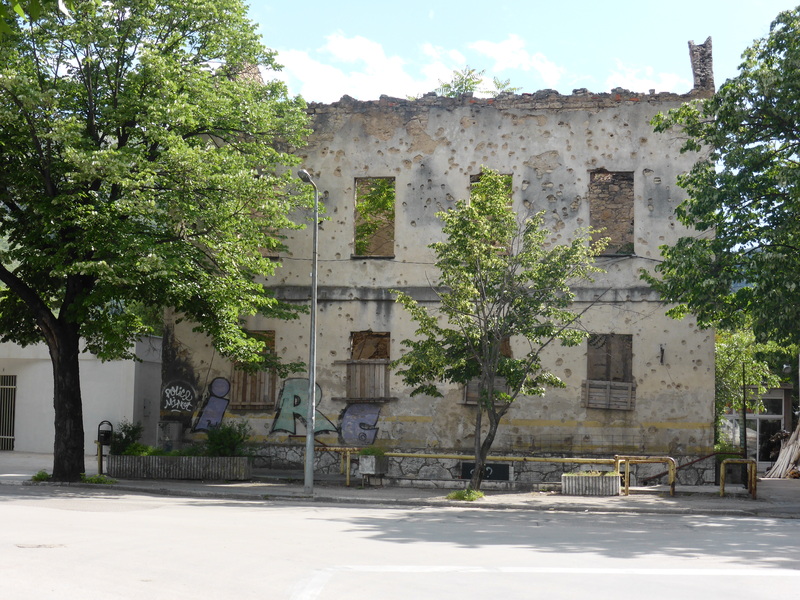 Although I normally find abandoned and ruined buildings beautiful, in the Balkans it was a much more haunting experience as the reason for the destruction of many of the buildings is such a recent conflict that impacted this region and its people so strongly. There is still beauty in the buildings but I found them harder to look at, especially when the shell marks are so visible. After my séjour in Dubrovnik and prices in Dubrovnik Old Town that were not unadjacent to those in Switzerland, I completely messed up my budget in Mostar. The currency in Bosnia and Herzegovina is the convertible mark (BAM or KM) and it isn’t really available outside of the country. As I knew that I had to pay for my accommodation in cash and I only wanted to make one ATM withdrawal to avoid too many charges, I ignored the cardinal rule of tripling the price of budget accommodation to estimate the daily cost and as a result found myself with far too many BAM on my hands. And that is how I ended up eating veal with truffle in the poshest restaurant I came across in Mostar. It was excellent and cost me the princely sum of €15 (it would have been €10 without the truffle). 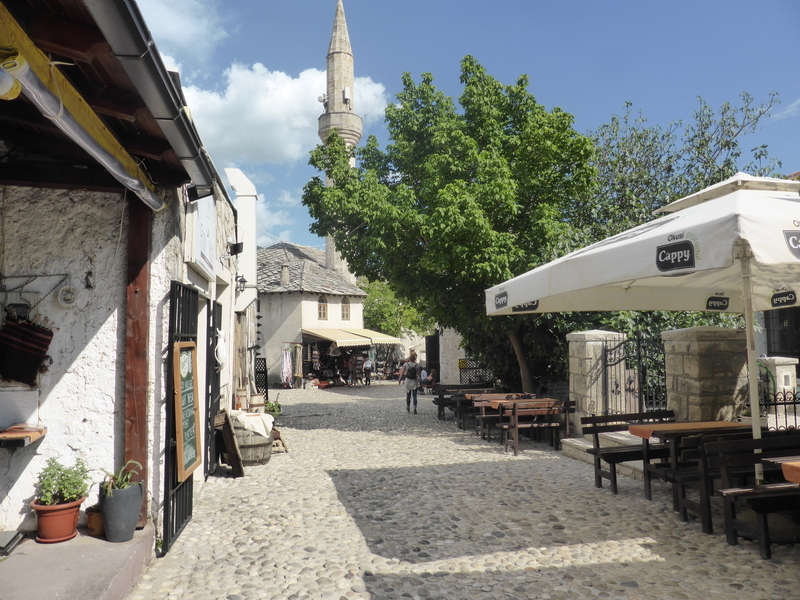 Mostar is really not expensive. I had been impressed in Montenegro that ice cream was only €1 but in Bosnia and Herzegovina it is only €0.50. It makes it difficult to show any restraint. The ice cream is so good; it’s basically gelato. 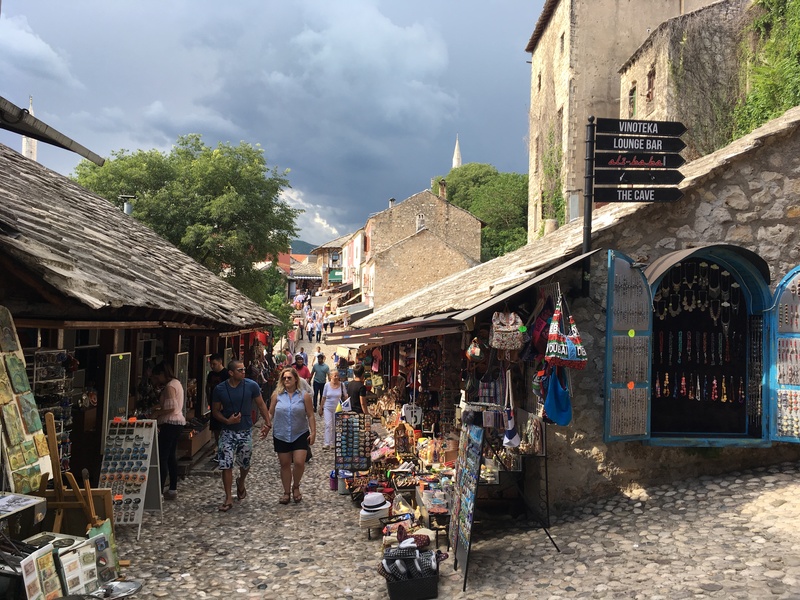 The Old Town in Mostar is all sloping cobbled streets lined with shops selling things that for once I may have considered buying if it were not for the fact that I would then have to carry them for the rest of my European trip. 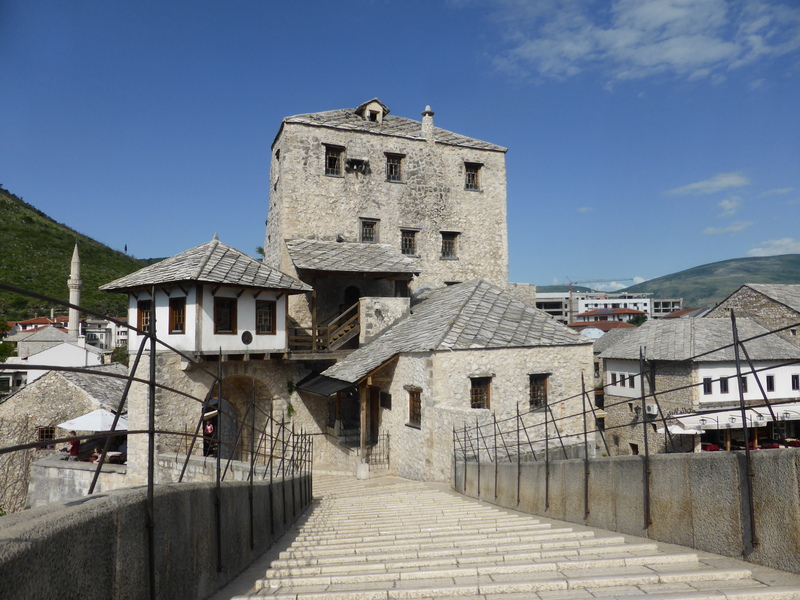 There is a reason why places become tourist traps and I can really see why so many people want to visit Mostar. Stari Most is as beautiful as I imagined and was worth the trip alone. 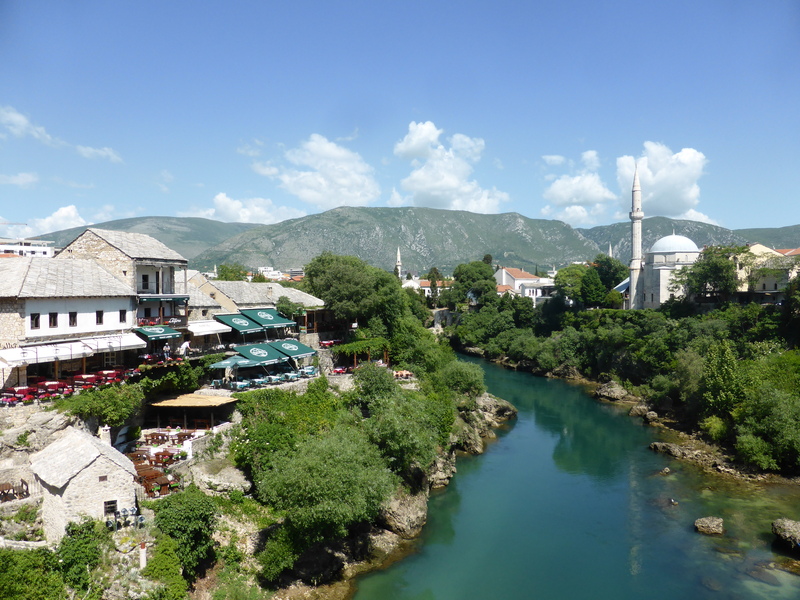 Mostar is picture postcard pretty. Eating dinner on one of the restaurant terraces lining the river is like being in a fairytale (or very romantic, if you are that way inclined). 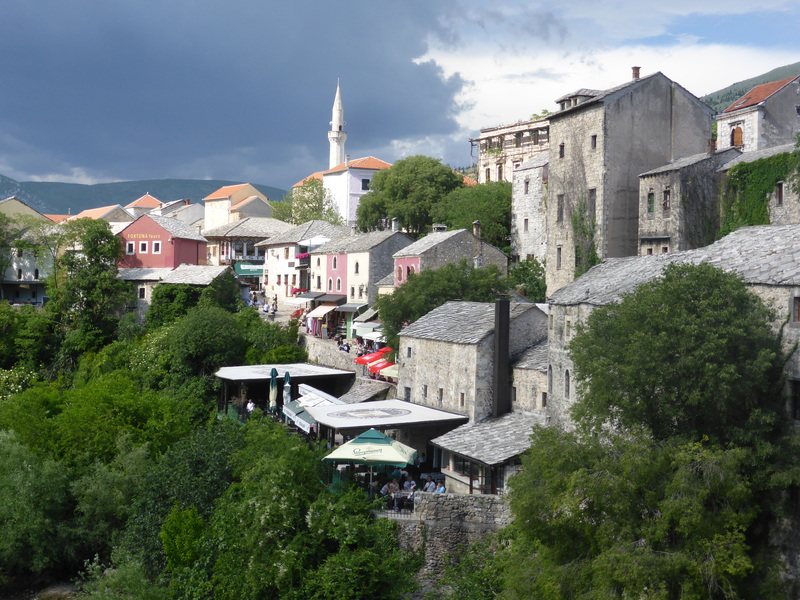 Mostar was the only stop I planned in Bosnia and Herzegovina but I think I’ll come back to this country. There’s so much more to see.